NCDA Acting Executive Director Carmen Zubiaga recently enjoined persons with disabilities (PWDs) to mobilize themselves as PWD Sector advocates and let their voice be heard during the Opening Ceremony of Fully-Abled Nation (F.A.N. )’s Post Election Summit held in Mandarin Oriental Hotel on October 14, 2013. Being an advocate on the rights of persons with disabilities all her life, she encouraged the participants to reach for their dream to be someone deserving of respect and to be an individual with equal rights. She also called for support to adopt “disability inclusive development”. She emphasized that the NCDA’s mission is to empower persons with disabilities and to enable them to participate in all aspects of life. Through the FAN, the PWD Sector was able to assert their right to suffrage and earn respect as an individual with equal rights and no longer as objects of charity. In the same occasion, Mr. Layton Pike, Minister Counsellor of the Australian Government’s aid program in the Philippines recognized the efforts of the NCDA and other different organizations working on disability-inclusive projects and activities, particularly in supporting the right of persons with disabilities to participate in the electoral process. He called the occasion as a “celebration of achievements”. Disability Advocate Ronnel del Rio pointed out the need to sustain the productive partnership between the claim holders (PWDs), duty bearers (government agencies) and funding agencies to achieve the country’s commitment in the implementation of the UN Convention on the Rights of Persons with Disabilities. “Gone are the days that persons with disabilities are regarded as subject of pity while the government as the experts,” he said. He also emphasized the need to implement RA No. 10366 “Authorizing the Commission on Elections to establish precincts assigned to accessible polling places exclusively for Persons with Disabilities and Senior Citizens”. The Asia Foundation Director for Programs, Ms. Maribel Buenaobra, presented the FAN Milestones, as follows: (1) Increased voter awareness among PWDs; (2) Promoted partnerships of the FAN coalition to enhance support and awareness of PWD participatory needs; and (3) Strengthened capabilities of DPOs and NGOs supporting PWD advocacies. She also intends to partner with the Department of Education since the teachers are actively involved during election, as well as to other strangers/allies which had not been TAF partner. She expressed hope that the COMELEC Resolution No. 97632 will be fully implemented in the 2016 election. 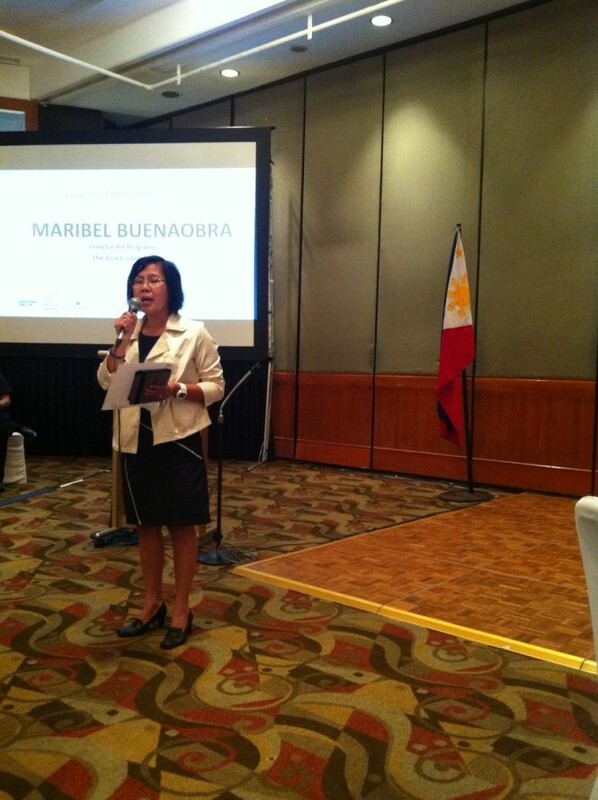 Director Maribel Buenaobra of The Asia Foundation presents the FAN Milestones. Case studies on the voting experiences of persons with disabilities were also presented by representatives from partner organizations such as Cerebral Palsied Association of the Philippines (CPAP), VSO Bahaginan and Upholding Life and Nature (ULAN). 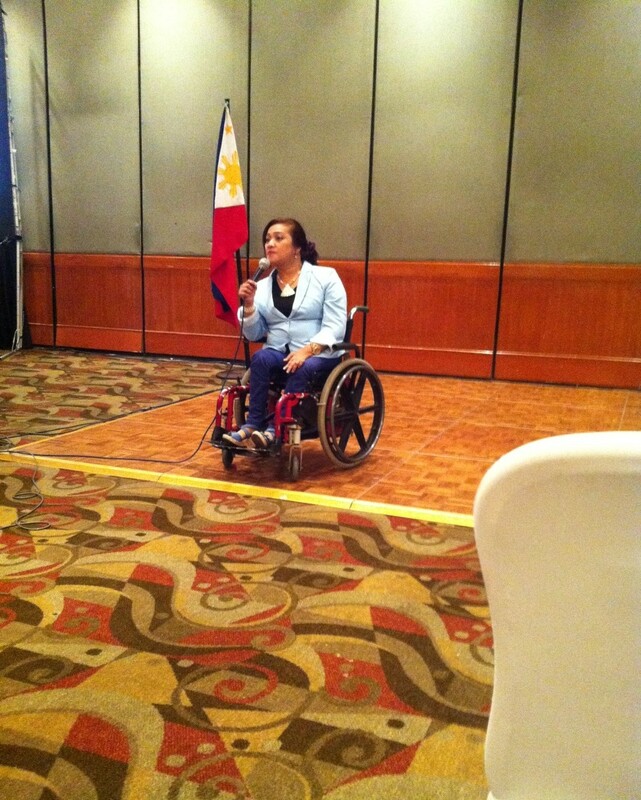 The Social Weather Station (SWS) Survey on the 2013 Election Experience of PWDs was also discussed. The report shows that inspite of mobility problem, absence of assistors and other reasons, there was a comparatively increase on the number of voters with disabilities who participated in the 2013 Midterm Elections as compared to the May 2010 election. People with orthopedic impairment (54%) topped the list, followed by those with visual impairment (53%), hearing/speech impairment (51%). The FAN is part of the disability inclusive development program of the Australian Government implemented by The Asia Foundation. The FAN campaign employed an extensive multi-stakeholder engagement involving the society like non-government organizations, civil society organizations, disabled people’s organizations, PWD federations, government, media and other election-focused groups. It built on the partnerships and collaborations among these groups to increase public awareness of the importance of PWDs’ right to suffrage and right to participate in democratic processes. Dr. Steven Rood, Philippine Country Representative of The Asia Foundation, in his closing remarks, lauded the many partners who made the program such a success. “It was thrilling to see how much this goal sparked the interest of such a wide variety of organizations. This is an encouraging sign of how much progress we can make to a Fully Able Nation”, he said. Gud Afternoon! Ako po si Riza Bernal, graduate po ako ng BS Secondary Education at nakapasa sa Board Exam ng mga teachers of the same years. But eversince gumraduate po ako ay never po ako natanggap sa lahat ng company na inAppLyan ko, mapaGovernment OR Private company po dahil sa aking kapansanan na Speech Defect. Last 2012, few months before i give birth to my first child, nagpunta po ako sa Mercury drug, San Agustin Malabon Branch para bumili sana ng gatas. i was so disappointed and feel Ashamed sa mga kapwa ko customer ng e-HoLd ako ng casher nila at daLhin sa office ng manager nila only to ask “Bakit daw ako nagkaroon ng PWD id”? “Paano daw ako nagkaroon ng PWD?” at ang Last word nila sa akin ay “Hindi ko raw dapat Ginagamit ang ID ko”. Director Carmen Zubiaga eversince po nangyari iyon sa akin hindi ko na po Ginamit at napakinabangan ang ID ko. So ano po ngayon ang benefits ng PWD kung ganyan pala poLicy ng mga stablishment Especially Mercury Drug? La po ba sila Memorandum para Aware sila sa mga kagaya namin PWD?